Would you like to give a meaningful Christmas present to family and friends this year? Do you know someone who could benefit from a Sport or Deep Tissue Massage to help with aches and pains? Or perhaps just need a relaxing and de-stress treatment with Swedish Massage or Reflexology? These vouchers may just be what they are looking for! 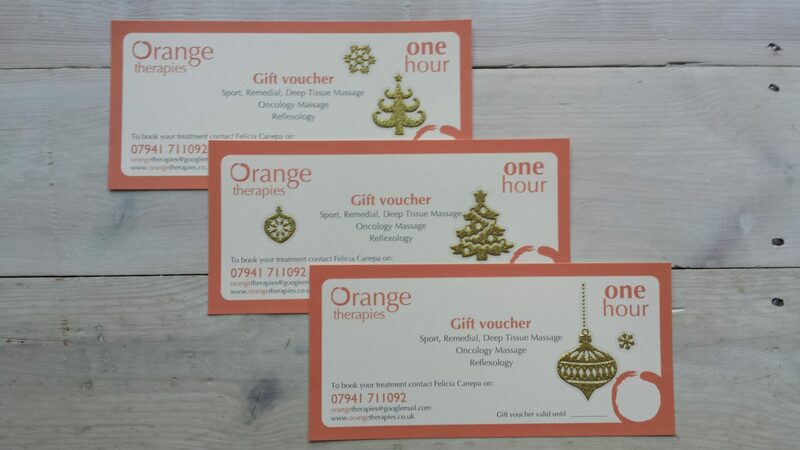 This entry was posted in Christmas, Gift Vouchers, Massage, Offer, Reflexology, Soft Tissue, Sports Massage and tagged Acorns Health & Leisure Centre, Christmas, Discount, Gift vouchers, Massage, Sports Massage on November 25, 2016 by Flik.